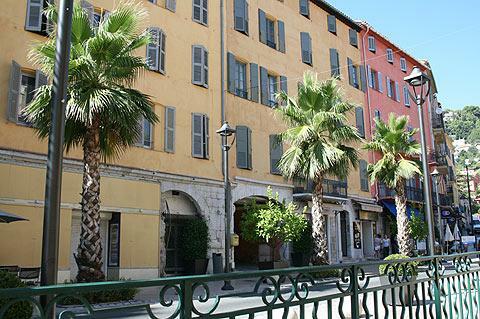 Grasse is situated 16 km north of Cannes in southern Provence. The town was originally best known as a centre for leather tanners, but this gave way to perfume production, for which the town is still famous today. 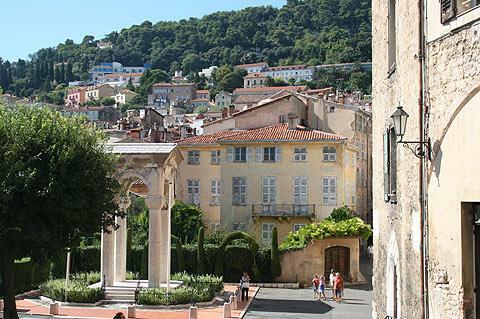 Grasse is a pleasant and quite a sizable town, with the old town and the region around Place aux Aires a good place to start your visit. The old town is the highlight in Grasse and has numerous ancient buildings and a great deal of character - it is very much a traditional Provencal town despite being such a popular tourist destination,and the old town is one of the most extensive in Provence, not unlike the old town in Nice. Many of the tall narrow houses are painted in pastel orange colours to brighten the narrow streets, and there are numerous shops, cafes and restaurants in the open squares that you will discover as you explore. 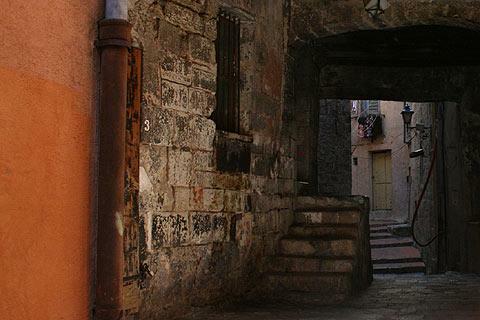 One slightly curious feature to Grasse - while the town centre is impeccable, if you wander 100 metres off the well-trodden tourist path you find yourself in a different environment, much more 'down to earth' with original 'unpainted' houses along alleys with washing hanging out to dry - a different experience altogether to the 'tourist centre'. It is true that you will also come across rather more run-down areas in the old town and some of the streets are, if not intimidating then at least sufficient to make you think you are in a genuine old town rather than a tourist destination! - the 12th century Cathedral Notre-Dame-de-Puy is worth a visit. 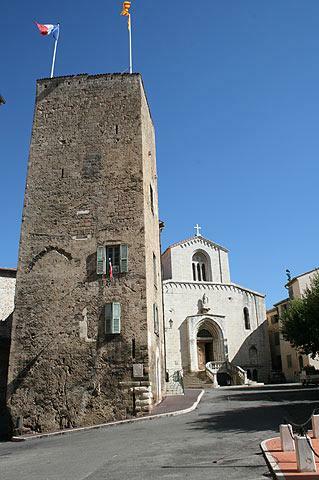 It is the most important historical monument in Grasse and dominated by a tall square belltower added in the 18th century. The cathedral also contains three paintings by Rubens. 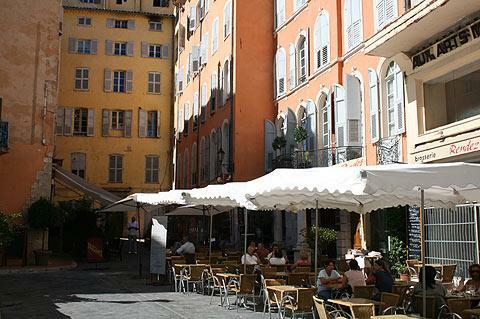 A daily market is held in the main arcaded square in the center of Grasse. Unfortunately the map the tourist office provide is also missing many street and place names and largely incomprehensible because the writing is too small to read...but it does include information about where to find some of the more interesting little highlights so still worth getting hold of. As well as the popular Museum of Perfume there is also a museum celebrating Art in Provence, and others dedicated to Marine activities and the Fragonard perfume company. 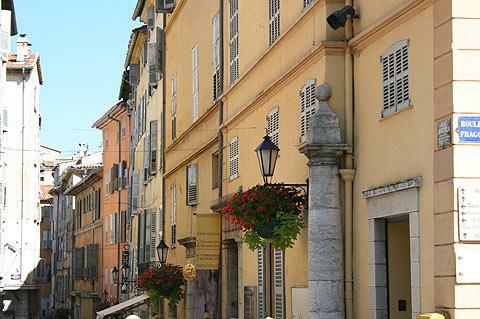 Grasse has had a prospering perfume industry since the end of the 18th century - Grasse is the center of the French perfume industry and is known as the world's perfume capital (la capitale mondiale des parfums). It produces over two-thirds of France's natural aromas (for perfume and for food flavourings). This industry turns over more than 600 million euros a year. Grasse's particular microclimate encouraged the flower farming industry. It is warm and far enough inland to be sheltered from the sea air. There is an abundance of water thanks to its situation in the hills, and the 1860 construction of the Siagne canal for irrigation purposes. 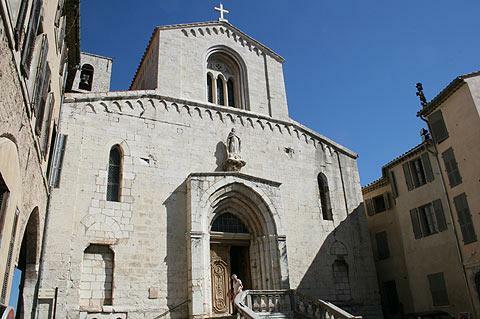 The town is 350 m above sea level and 20 km from the Coast (Côte d'Azur). Jasmine, a key ingredient of many perfumes, was brought to the South of France by the Moors in the 16th century. Twenty-seven tonnes of jasmine are now harvested in Grasse every year. The perfumeries in Grasse that are open to the public include Fragonard (you can visit the ancient factory); Galimard; Molinard and Bouchera. 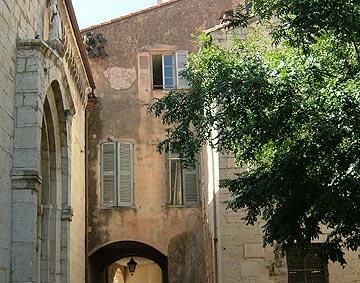 There is an annual Fête du Jasmin in Grasse at the beginning of August. The first festival was on the 3 August–4 August 1946. These days, it is a big event; decorated floats drive through the town, with young women in skimpy costumes onboard throwing flowers onto the crowds. This is known as the "flower battle", and everyone gets soaked by the natural perfume of the flowers. There are also fireworks, free parties, folk music groups and street performers. An interesting way to visit Grasse in early spring is to first follow the scenic Route du Mimosa that starts at Bormes-les-Mimosas (130km away).